What if your not ready for Surgical Hair Restoration? Hair transplantation may not be the appropriate first step for younger men with hair thinning. A delayed approach to hair transplantation for a young male, even when the young man is distressed by his hair loss and has expressed a desire for immediate hair transplantation may be the right approach. 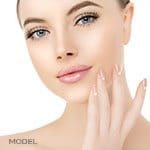 Alternatives to hair transplantation can provide cosmetic improvement until hair transplantation is likely to result in a satisfactory, long-term cosmetic outcome. A man who begins to lose hair in his teen-age years or very early twenties finds himself developing a “middle-age look”, twenty years too early. The change in his appearance can be a cause of great concern and even emotional distress. The “look” that a young man presents to friends, colleagues, business contacts and potential sexual partners can make or break his success in the social and business worlds-or he may believe this to be the case, with negative effect on his self-esteem. 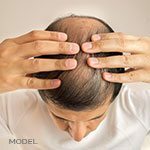 Family history of male pattern hair loss-A young man whose close male relatives have advanced male-pattern baldness is at high risk for experiencing moderate to severe hair loss as he ages. Undertaking hair transplantation immediately may have the negative effects of depleting the supply of donor hair [the hair at the back of the head that is used for transplantation grafts] before the young man’s hair loss has completed its course, and placing transplanted hair inappropriately if the transplanted grafts end up being “islands” in the middle of balding scalp. Patient’s pattern of hair loss-Hair loss that begins at an early age is not predictive of how much hair will eventually be lost, or the eventual pattern of hair loss. Recession of hair in the temporal area (on the forehead, above the temples and eyebrows) may proceed no further, extend over time to include more of the forehead, extend over time to include the forehead and vertex or crown of the head, or extend over time to the maximum degree of male-pattern baldness. Hair transplantation started too early may eventually negate the long-term cosmetic benefit of hair transplantation. What can you do if you’re not ready for hair transplantation? A young man concerned about his early hair loss will usually be offered alternative options for cosmetic improvement, if he is urged to accept a delay in hair transplantation. The hair restoration specialist will advise the young man regarding the best options for retaining cosmetic appearance while awaiting hair transplantation. In some men, hair loss may be slowed or even new hair growth stimulated by medical hair loss treatments. The two such treatments approved by the U.S. Food and Drug Administration are finasteride (Propecia®) and minoxidil (Rogaine®). Minoxidil is topically applied and is available with out a prescription. Finasteride is a prescribed drug taken orally in pill form. The medical treatments may be used separately or in combination, as recommended by the physician hair restoration specialist. Medical treatment may retard the rate of hair loss and preserve an acceptable appearance until the physician determines hair transplantation can be undertaken. Medical treatment is sometimes continued as a complement to hair transplantation. It is likely that, once started, hair transplantation procedures will have to be continued for some years to keep pace with progressive hair loss. A number of non-prescription products offer “camouflage” for thinning hair. They are applied to the scalp and/or hair to give the appearance of “fullness” to thinning scalp hair. Some are applied directly to the scalp to disguise the appearance of bald scalp under thinning hair. Some are fibers that attach to hair to “bulk up” the appearance of thinning hair. All camouflage products are offered in a variety of colors to match natural hair color. Camouflage agents may be, for some young men, an acceptable short-term solution to improved cosmetic appearance while they wait for hair transplantation. A well-designed hairpiece/ hair system can provide an acceptable appearance for some patients with thinning hair. However, one hairpiece may not serve over a period of years if hair loss is progressive. A hairpiece requires monthly maintenance and usually must be replaced regularly. The patient and physician hair restoration specialist can determine whether a hairpiece is an acceptable short-term alternative while the patient waits for hair transplantation. There are patients for whom a hairpiece and camouflage agents may be a long-term or even life-time solution to hair loss. A patient with these characteristics is typically a very young man with a strong family history of hair loss, and aggressive male pattern hair loss that began early. Hair transplantation may never be an option for such a patient, who will lose so much hair that none is available for transplantation.